Spring Break started a few hours later for those of us who went to the evening soccer games. It started to get cold, so I went to my car and grabbed my handmade (thanks mom!) 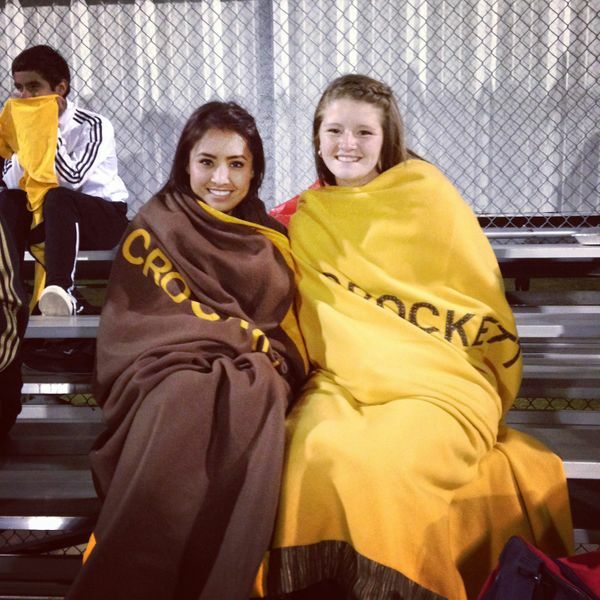 Crockett blankets for a few of the students to stay warm. Students, have a fun & safe break away from your classes!